This year again, the mineral resources in Serbia have been presented, on the mining conference, as the driving force of economic development. Numerous foreign and domestic participants had the opportunity to discuss the subjects such as the new Government policy within the field of Serbian mineral resources, the regulations within this sector, the increasing potential of the mining sector and the sustainable development, as well as the projects of public-private partnership for financing in mining. This year’s conference was officially opened by Siniša Tanacković, Assistant Minister of Mining and Energy. On this occasion, he emphasized that good legislation, based on market business conditions, represented the basis for mining development and a successful geological exploration of mineral resources. Certain, but still insufficient, advances have been made within the last few years. The Strategy on Sustainable Use of Natural Resources has been adopted, the mineral policy has been defined and the Mineral Resources Management Strategy, which is yet to be adopted, has been prepared. By the law, the Republic Geological Institute has been formed for the purpose of carrying out basic geological explorations of state interest. The active Law on Mining and Geological Research was adopted three years ago. However, as this law has certain deficiencies, precisely these days, all required activities are being undertaken with the aim of preparing a new, modern law which has been brought into conformity with the EU standards. The Ministry of Mining and Energy is sure that, by the adoption of the new Law and of a whole series of by-laws, incomparably better conditions will be created with respect to risks reduction and security of investments in the mining sector. In the last two years, the level of investments in this sector has declined significantly, but we hope to soon return the former trend, which amounted to between 40 and 50 million euros of investments annually. We expect that production will be started in the near future and that we will have new mines in Serbia – said Tanacković. Milan Parivodić, legal adviser of the Geologic Mining Association – GRAS, talked about the bad sides of the existing law and the necessity of adopting a new one. The existing law has a series of deficiencies, and the biggest deficiency is that its spirit is outdated and as such, it is against the Constitution of the Republic of Serbia. 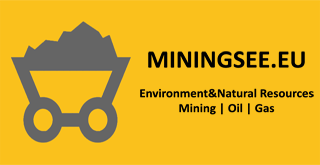 The representatives of the Geologic Mining Association have held a series of meetings in which a high level of coherence has been shown in the reasoning of company representatives and they have all agreed that a thorough reform of geology and mining is needed in Serbia. The GRAS has reached certain conclusions. First, the emphasis should be placed on sustainability, both economic, social, and environmental. Then, it is necessary to bring our industry into accordance with the global mining and geological practices. The law has to be structurally more arranged, clearer, more systematic and more synoptical for understanding. And what is very important, the new law must regulate legal relations, between the state as the owner of natural resources, the investors performing explorations, the land owners and the injured parties, more precisely, the parties directly affected by the exploration. It is highly important that geological exploration and mining be raised to the necessary level of importance for economic development, because they really can be and they are the driving force of economic development – Parivodić stressed. Professor Rade Jelenković, Chief of Department for Economic Geology at the Faculty of Mining and Geology in Belgrade pointed to the fact that Serbia was rich in mineral resources and that this had to be employed for initiating the country’s economic development. As some of major explorations, professor Jelenković singled out the exploration of lithium and other boron minerals in the Jadar basin, then of copper and gold within the Timok magmatic complex, within the area of Brestovac. Dušan Simić, director of “Jantar Group“, told about the business environment as a precondition for the development of this area. Dragan Milošević, director of “Terragold&CoBeograd“, gave a presentation about responsible mining and the growth of the mining industry worldwide and in our country. Within the second panel, Magister Milinko Radosavljević, director of the Mining Institute in Belgrade, drew the attendants’ attention to the importance of sustainable development and to all the manners in which we could control the negative environmental impact. Present-day geological explorations of mineral resources within the territory of Serbia are performed with a dominant participation of foreign exploration companies, in which the Canadian and American capital prevails. Reputable leaders of the companies performing business operations within the field of mining had the opportunity to present their experiences and beliefs during the conference. The representatives of the company “Rakita Exploration“ (the company “FreeportMcMoran“), which is one of the leading mining companies and the largest copper producer in the world, had their presentation. This company alone has so far invested 15 million dollars in the explorations in Serbia. Then, the representatives of companies “Reservoir Minerals“, “Mundoro Capital“, “Rio Tinto Minerals“, “Avala Resources“. The company “Avala Resources“ has so far invested more than 160 million dollars in the exploration of gold, in the project Timok. As pointed out by Van der Torn, director of exploration, public support is of crucial importance for projects. The public must know the benefits of exploration and it is highly important to establish a good relationship with the community. All the companies are still in the exploration phase and they agree that Serbia is a good place for investing and that the new law will bring forth even better business conditions. As emphasized by foreign experts, exploration is one of the most important preconditions for the opening of mines. The deposits for copper, lead, zinc, gold, silver, jadarite, lithium are among the most significant deposits in our country. The public-private partnership (PPP) in mining was a special topic of the Mineral Resources Conference. John Nicholson, director of “Skillset“, a company involved in providing services within the field of financial consulting, said that the private-public partnership within the field of mining existed only in India and Africa. Observing the example of Serbia, we can conclude that there are large lignite reserves. The question that we should ask is: How can we extract this lignite from the ground and use it? We need to find the funding and to turn it into electricity. For this, we need a thermal power plant, which will use modern technologies – said Nicholson. The introduction of a private investor into the project of constructing a thermal power plant is welcome, Nicholson believes. As lignite is not environment-friendly, it is necessary to apply modern technologies for reducing pollution. Someone will say that, in such a case, the thermal power plant will generate expensive electricity. My response is – yes, but this is a good solution, in comparison with the option of not having electricity at all – said Nicholson.His conclusion is that the private-public partnership should be implemented in electricity generation, and not in mining.